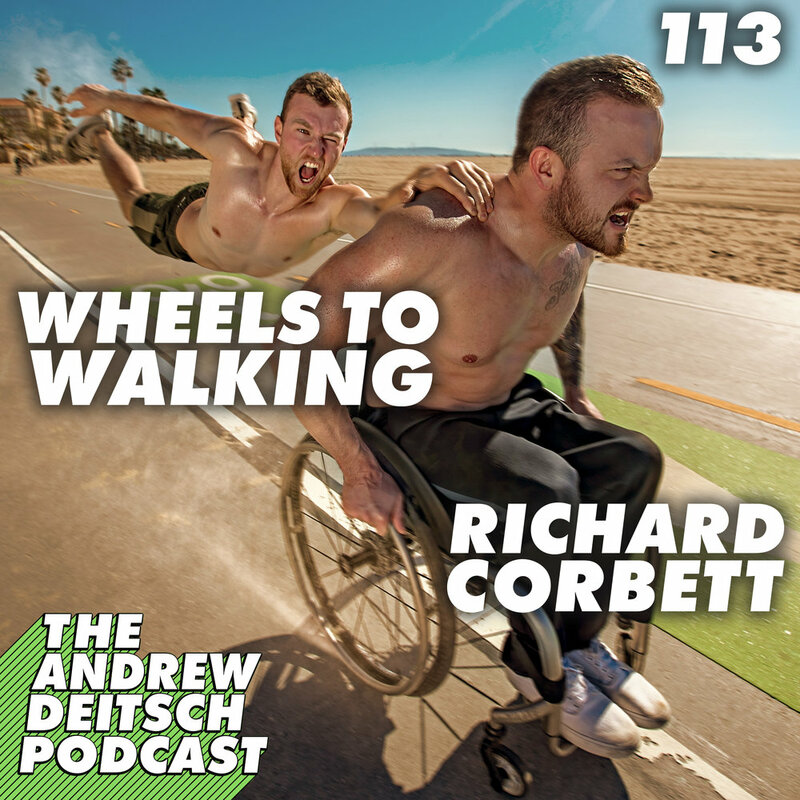 My guest today is Wheelchair Influencer, Fitness Enthusiast, and ADP Veteran, Richard Corbett. On Episode 47, he shared the heartbreaking story of how he became a wheelchair user at just 21 years old, and how he has used his spinal cord injury as a catalyst to become the best version of himself. Now 16 months later, he has launched his new platform, Wheels2Walking, where he creates entertaining and educational content for newly injured wheelchair users. Richard and I have been working together heavily on this project for the past 6 months, and we are so excited for everyone to check it out. During this episode we talked about our recent trip to LA, our collaborative relationship, why Richard has had the biggest impact on my show, his new platform, our crazy photoshoot with world renowned photographer, Simon Needham, and the future of Wheels2Walking. If you want to hear more from Richard and I, we actually have a new podcast on Patreon called the “Wheels2Walking Podcast!” Every week we sit down to talk about the behind the scenes of Wheels2Walking videos and chat about the perspectives of a wheelchair user (Richard) and an able bodied person (that's me!). It's a really fun podcast, and it's only $10 to get access to this exclusive content. Check out Wheels2Walking.com for all the latest.